* if you have Type ll diabetes, eat three meals containing 15 grams of carbs per meal and two 7 1/2-grams carbohydrate snacks. 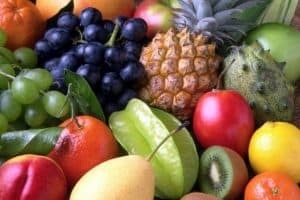 All fruits are raw except when noted. Each serving is 15 grams of carbohydrate. Eat fruit in their natural state. No cocktail or canned in syrup. Eat organic, "spray-free"